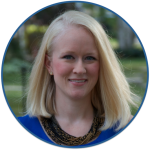 word study | Kristen Dembroski, Ph.D. This year, I administer a decoding intervention to students in Tier 2 & 3 reading interventions. We work on decoding, spelling, vocabulary, and phonological awareness. Our goal is to read more quickly and accurately over time (fluency). This is an essential prerequisite for comprehension, because students who struggle to read fluently often lack the cognitive resources to dedicate to comprehending, which is the ultimate goal of reading. 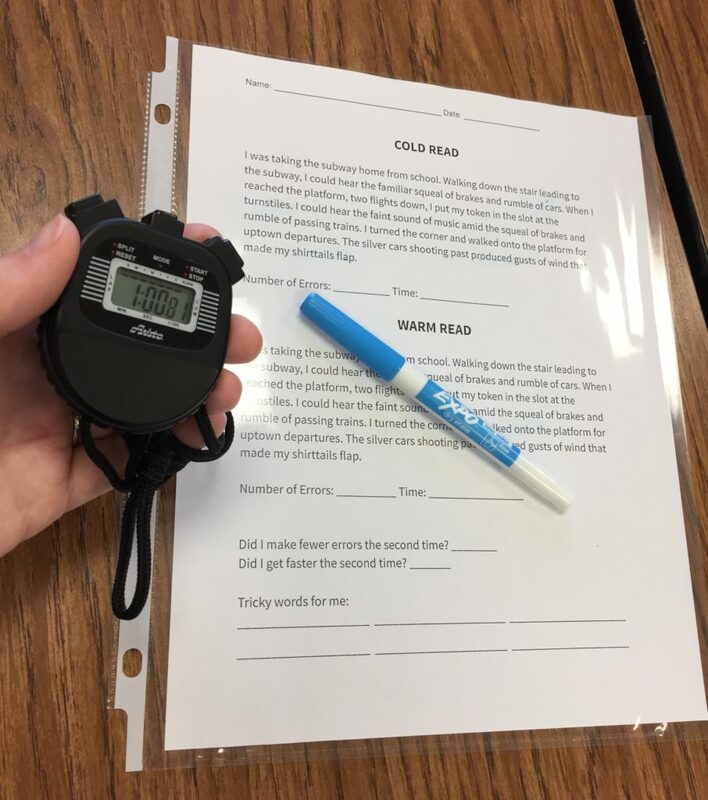 Every week, I administer the AIMSWeb R-CBM probe, a 60-second running record that records students’ CWPM (Correct Words Per Minute) and errors, to each of my students. The hope is that through our weekly word study, students will show evidence of their learning by being able to read more quickly and accurately. However, I’ve always felt I was doing a pretty inadequate job with improving my students’ fluency. We practice reading out loud in class every day, but our gains in fluency are slow and hard earned. Most of my students’ AIMSWeb graphs are nearly flat, like the picture shown below, meaning very little growth is evidenced. And yet, I see their growth in so many other ways every day. I see it in their confidence, their decoding abilities, vocabulary knowledge, and spelling – none of which is measured by AIMSWeb. 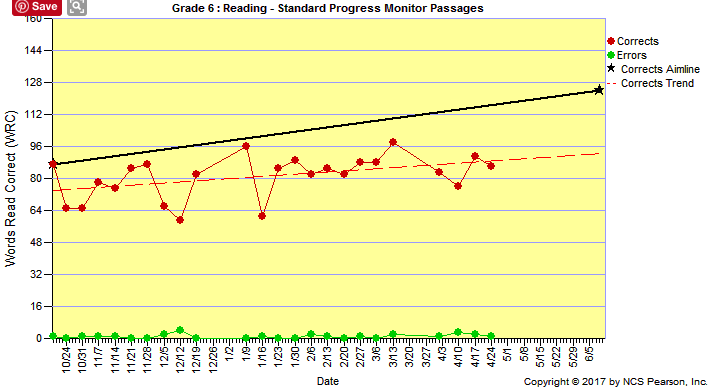 But the question remains – how can I improve their fluency so that it is reflected in their scores? I don’t know why I thought just reading more and more often would help my students. I had no systematic, direct approach; I just relied on sheer volume. We read interesting new texts every day and forged our way through the tough words together; and there was negligible improvement. I needed to find a way to speed up our progress. Students need to analyze and improve on their own miscues. Students need to understand why fluency is an important skill worth improving. It seems simple enough, and yet why didn’t I think of it sooner? I began by choosing very short, leveled passages for us to work on. 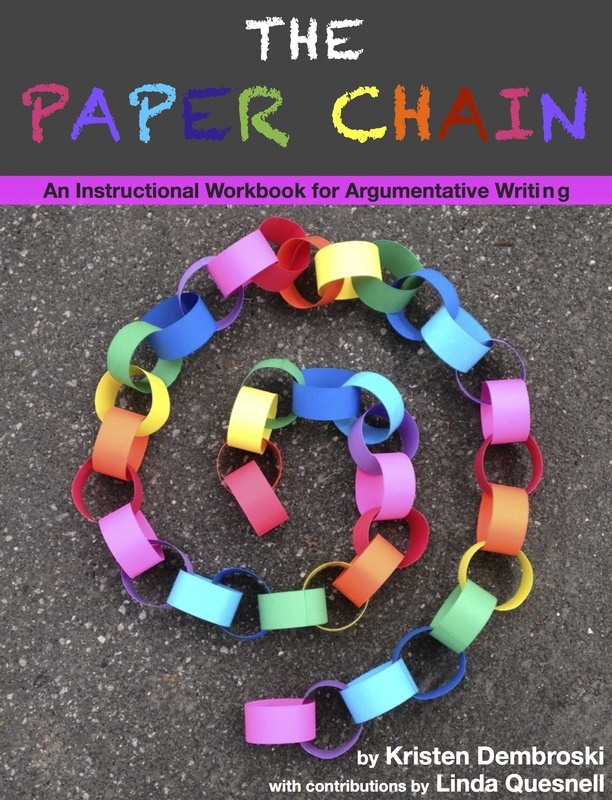 I work with groups of 4 students, and this activity should only be done individually (you don’t want students to hear each other, which will impact their own readings). Next, I created a worksheet that allowed students to see and improve on their own miscues, keep track of their progress, and set goals for future improvement. Here is my copy of the worksheet, which I put in a sheet protector so I could write on it with dry erase marker for each student. Each of my students got their own copy of the worksheet, which they used to track their progress. As you can see, this student clearly progressed between her Cold Read and her Warm Read. In the first read, she made 4 errors. We took the time to go over them, decode the words, discuss their meaning if necessary (especially with ‘turnstile’), and then I gave her individual work time to practice or reflect. 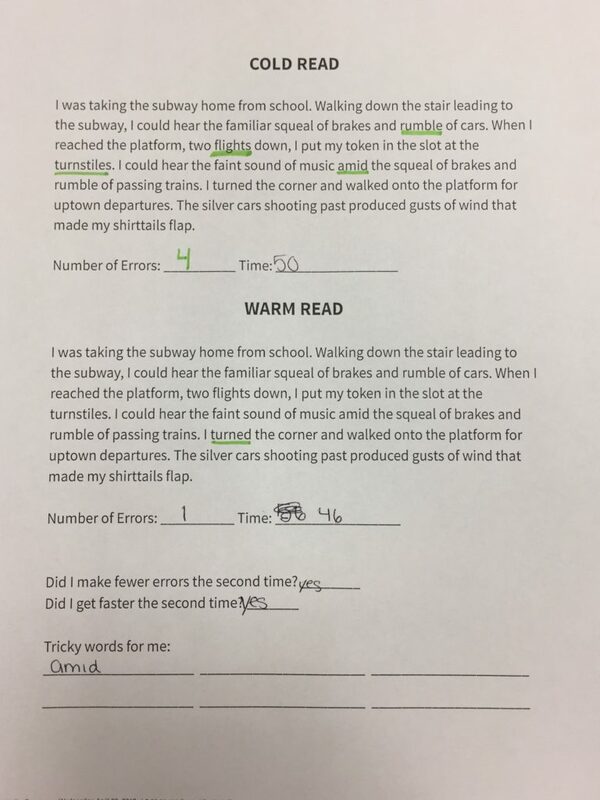 On her second, warm read, she made only 1 error AND read faster! *NOTE: she did not repeat any of her initial miscues! In the end, I asked her to note any words that she felt were tricky for her and worth future practice. She chose ‘amid,’ which we have now decoded and made into a flash card. All of this took about 5-6 minutes total. EACH and EVERY one of my students today said they *liked* this activity, and they felt it really helped. They asked me to please keep doing it, and to pick another interesting passage for tomorrow. They eagerly took on the challenge, enjoyed competing with themselves, and were thrilled to see their own progress. Yes – ACTUAL noticeable progress. I’m so glad we are incorporating this into our daily word study routine! Have you had an experience with multimodal writing/spelling? There are so many great ideas out there on Pinterest, from writing in shaving cream to making impressions in bags of paint. The beauty of this idea is that it is a) engaging for students b) gross motor skills (no worrying about holding a pencil) c) kinesthetic and multimodal (do, say, hear) d) easily replicated over and over until mastery e) memorable. Students can get in a lot of fun practice with language rules without the exhaustion and monotony of pencil/paper. This practice is typically done in elementary schools, but I say NAY! Our middle school students deserve some fun as well! 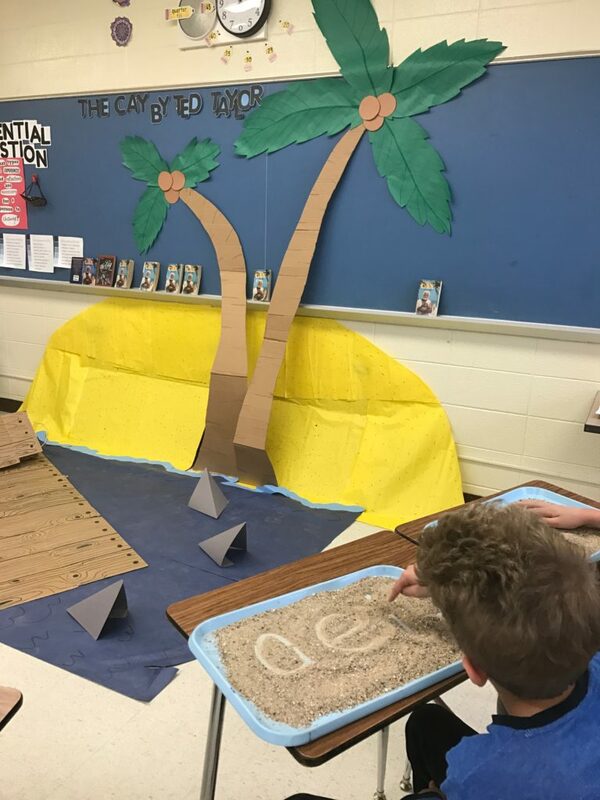 And since we were reading a book called The Cay in which (SPOILER) the 2 main characters are stranded on a deserted island and must write “HELP” in the sand to flag an airplane – well this gave me the idea that we could do our word work in the sand as well! Our word study focus for this lesson was on the tch/ch rule. 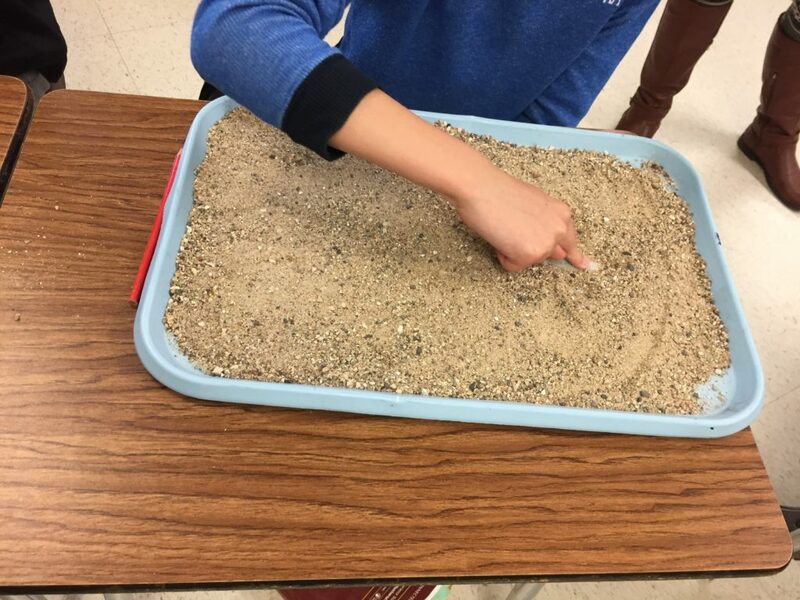 To begin with, we reviewed all of the short vowel sounds, making them in the sand and saying them repeatedly to brush up. A-apple, E-edge, I-itch, O-octopus, U-up. After this practice, we learned the tch/ch rule – that the final ‘tch’ sound only occurs after a short vowel. We practiced with the word ‘batch’ – do you hear a short vowel? Yes I hear a-apple. That means that the /ch/ sound must be made by a -tch at the end. As you might expect, playing in the sand was a huge motivator, and at times distracting. In between words, I asked students to put their hands in the air. Once they were done spelling a word, I held up the cue card for them to cross check their spelling. Overall, this lesson was a big hit. It was on theme, engaging, and appropriate for our word study sequence. The next lesson will be similar, on the ‘dge/ge’ ending (‘dge’ only occurs after a short vowel). 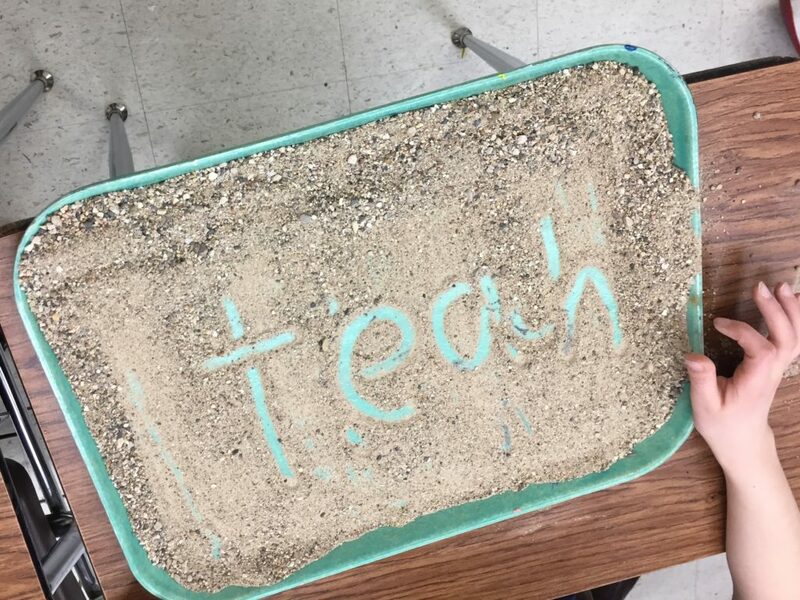 Would you try sand spelling with middle or high school students?